Ford: F150,F250,F350 super duty: Temperature Compass Overhead Console Repair. Send in your Info display console for repair, Turn around is 1 business day, Free priority shipping is by US Post Office expedited shipping,& 5 years Limited warranty. 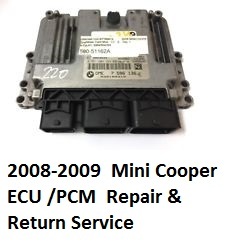 Repair & Return Service $107 with 4 Years Limited Warranty. Turn Around Time 2-3 Days. After you pay , wait for 5 seconds ,you will be directed to Address Page to see the shipping Address. Please click on the PayPal button Pay Now to pay $107 for Repair . Please wait after check out to be redirected to address page for shipping address.